The Uffizi Gallery is home to the world’s most outstanding collection of Renaissance art, displayed in the magnificent surroundings of a 16th-century palace. Everyone who comes to Florence wants to spend a few hours appreciating the museum’s masterpieces, and with good reason. But with over 1.5 million visitors passing through its doors each year, the long entrance lines can be intimidating to say the least. Join Through Eternity’s special Uffizi Galleries tour to skip the lines and get straight to the masterpieces, admiring the works by powerhouses of the art world like Botticelli, Leonardo da Vinci, Raphael, Michelangelo, Titian, Caravaggio and countless others. With the expert company of one of Through Eternity’s art-historian guides you’ll get the full story behind the paintings, getting a vivid insight into the compelling Renaissance world that brought them to life – a rich tapestry of war and political intrigue, of scientific discovery and religious fanaticism captured for eternity in the brushstrokes of some of the greatest artists to have ever lived. The Uffizi is one of Florence’s must-see sights – discover its magic with Through Eternity today! The Uffizi Gallery is without question the world's greatest collection of Renaissance art. Housed in a magnificent 16th century palace, the Gallery was the modern world's first public museum and has for centuries attracted art lovers from around the globe. Boasting an unrivalled array of masterpieces from the brushes of Italy's finest painters, it is the ideal place to trace the history of Renaissance art from Giotto to Michelangelo and beyond. These paintings are fascinating windows onto other worlds, so join us as we bring to life the history, culture and personalities of Renaissance Florence. Our Uffizi Gallery tour uncovers the revolutionary philosophies and inventions of this fantastic era, meeting its princes, artists and merchants. 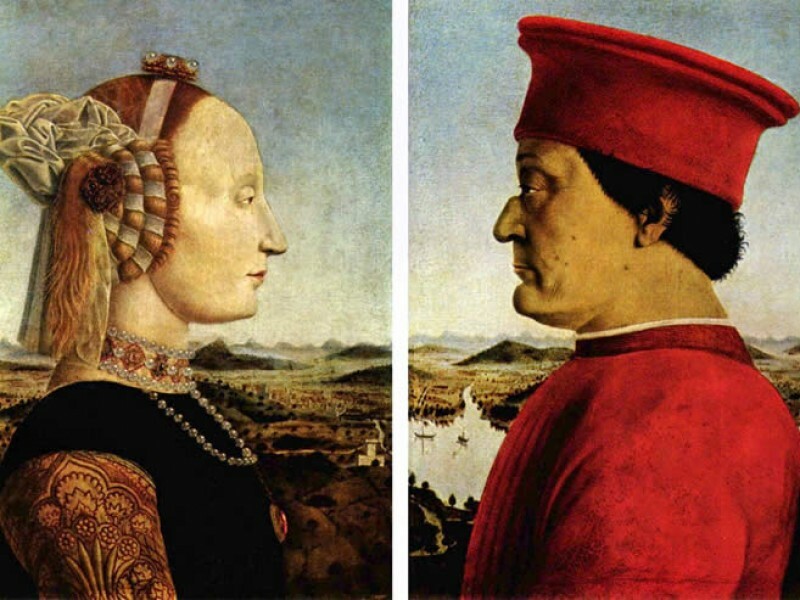 We begin with the birth of the Renaissance following the slow transition from the Middle Ages. This is the story of the artistic conquest of naturalism. Whilst the works of Cimabue and Giotto still reflect a late-medieval outlook on the relationship between the human and the divine, Masaccio's revolutionary experiments with three-dimensional space invoke a new world-order with man at its centre. 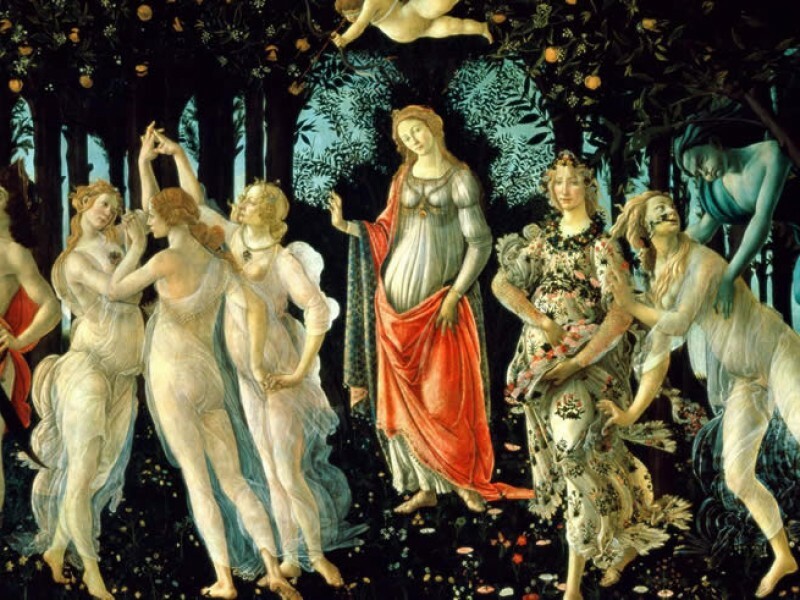 With the great canvases of Sandro Botticelli, our walking tour will take you into the heart of the Renaissance and the world of the Medici court. The iconographies of Spring and The Birth of Venus are the products of humanist discourse, and reflect the fundamental role that beauty played in the evolution of the Renaissance spirit. 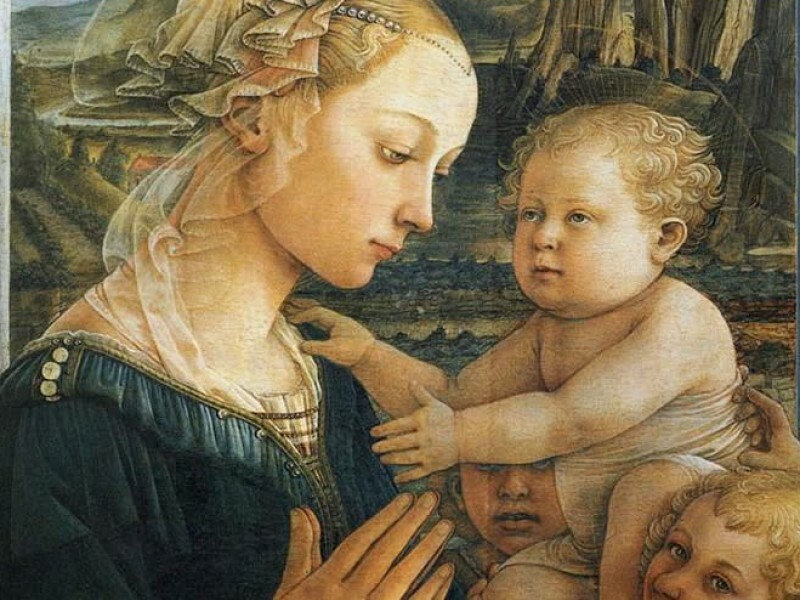 After encountering the works of wonderful artists such as Fra Angelico and Filippino Lippi, we will come to the apex of our walking tour with the art of the great masters of the High Renaissance, artists whose works have come to epitomise the values and achievements of the age. You will be introduced to the rare genius of Leonardo da Vinci, whose tireless curiosity led him to obsessively analyse the natural world. Employing original techniques like chiaroscuro, he conveyed the psychology of his figures with a rare power, and his paintings are a rich combination of scientific observation and painterly invention. No less ground-breaking were the works of Raphael. 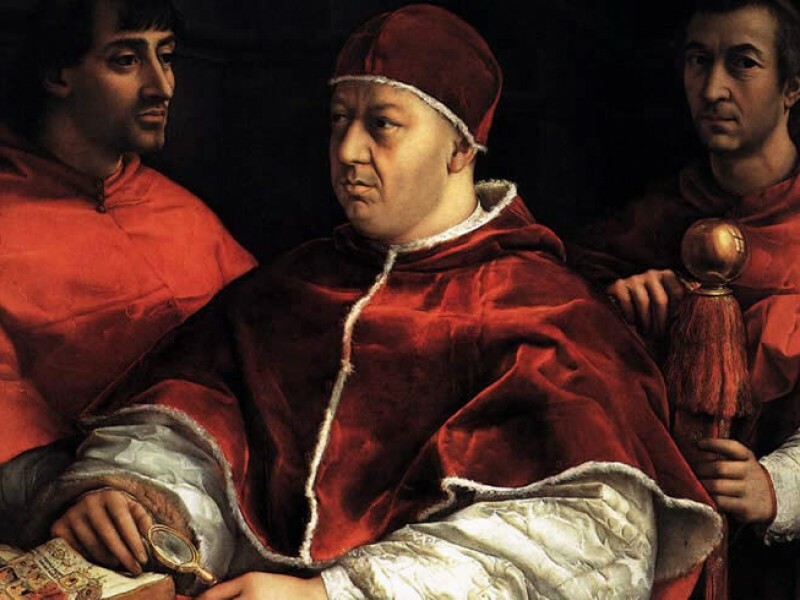 Amongst them we will see the enchanting Madonna of the Goldfinch, and an incredible Portrait of Pope Leo X which sheds light on the complex intrigues of papal politics. Titian's sensuous and colourful works take our tour of the Uffizi Gallery to the completely different artistic heritage of Venice and northern Italy: his famous Venus of Urbino is the most provocative of all Renaissance nudes. Finally we encounter Michelangelo's Doni Tondo, a highly unconventional and virtuoso work that points towards the new Mannerist style that was soon to subvert Renaissance classicism. Lured by a series of fabulously wealthy popes determined to make their mark on the Eternal City, Raphael and Michelangelo would soon leave for Rome. The heyday of Renaissance Florence was at an end. The climate of the Italian Renaissance would not last forever, as we will see from beginning of the 17th century with the terrifying world of Caravaggio. At times the artist's tempestuous personality and dramatic personal life nearly wrecked his career, yet he still succeeded in inventing a new pictorial language, providing the Counter-Reformation with the compelling and theatrical expression that was so desperately required. Paintings such as the terrible Medusa and the tense Sacrifice of Isaac are dramas of darkness and light, painted in a raw and unrestrained style completely foreign to the harmonious ideals of the Renaissance. 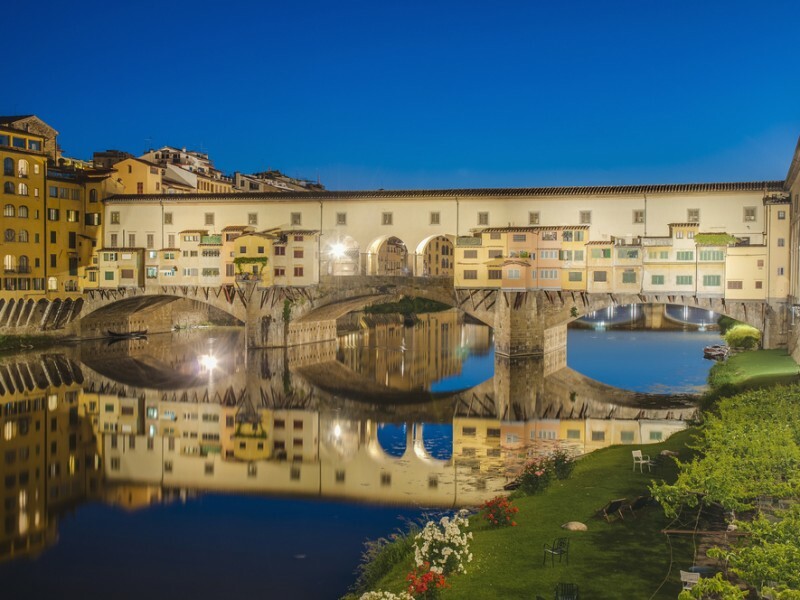 We will end our visit to the Uffizi Gallery with a walk along the outside of the Vasari Corridor (an arcaded walkway that allowed the Medici to cross the city undisturbed by the general populace) towards the Ponte Vecchio. As you gaze into the waters of the river Arno rushing below, reflect on the great masters who gave the world of the Renaissance such powerful visual form, and whose memories live on in the incomparable paintings of the Uffizi Gallery. To fully get to grips with this fabulous city, we recommend pairing your tour of the Uffizi with our Best of Florence tour, where we explore all the city’s major sites and hidden gems. Maximum group size of 8 people. Expert, fluent English-speaking guides who know and love Florence. In Piazza della Signoria. Full details, including a map and photo, will be issued on booking.